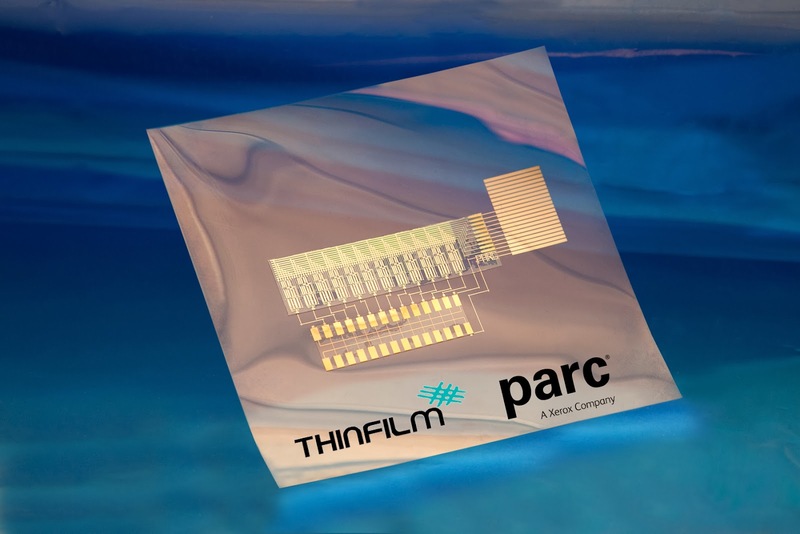 Thin Film Electronics ASA in a Norwegian company that specializes in "printing" electronics on rolls of flexible material. This technology could become very disruptive, lowering the cost of producing electronic components dramatically and also opening up new markets. One cool product they are working on that ships this year is an electronic piece of plastic that includes integrated sensors with the ability to track temperature. Imagine having this slapped on a bag of fish or meats to track the full temperature history of that product, ensuring the food is not compromised by the time it gets to the grocery store. They are entering the San Jose area by purchasing Kovio, a company that supports NFC (near field communications) on these tiny printed electronics. The tech makes it so that you can use a smartphone or other electronic device to easily communicate with these printed devices wirelessly. Kovio is located on Zanker Road, where it also has a manufacturing facility.